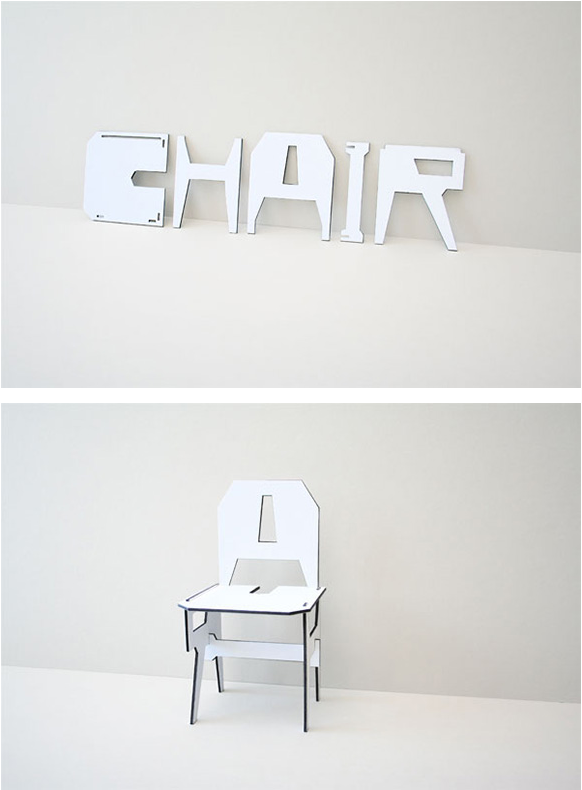 EricKU: An inspiration from the American contemporary artist Joseph Kosuth, One and Three Chair.. Instead of giving new definition, I redefined the concept of a chair by using alphabet. One is able to construct a chair by assembling the redesigned alphabets.